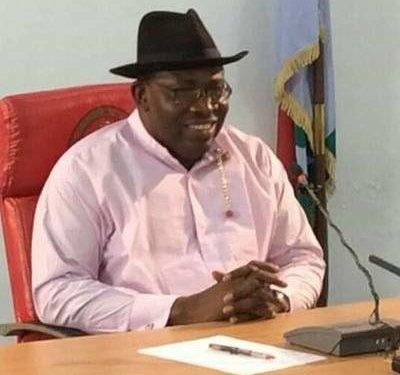 The Governor of Bayelsa State, Honourable Henry Seriake Dickson has called on the Federal Government to set up an All- Parties Committee to formulate the template to streamline issues and views around the notion of restructuring Nigeria. The Governor’s call came few days after the leadership of the All Progressives Congress (APC) resolved to set up an internal committee of the party to work out modalities for restructuring of the country. While commending APC for supporting restructuring, Governor Dickson believes, rather than making it an exclusive APC affair, membership of the restructuring committee should be drawn from all the political parties, civil societies and the academia to deal decisively with the matter, stressing that only an expanded committee would give a sense of belonging to all and sundry. A statement signed by the Governor’s Special Adviser on Media Relations, Francis Agbo on Monday in Yenagoa noted that Governor Dickson has promised to mobilize support for restructuring if the APC goes about it with sincerity of purpose. The Governor however advises those who misconstrue restructuring to mean secession to have a re-think as ‘‘Nigeria’s unity and indivisibility is desirable but should be negotiated for the good of all.’’ Governor Dickson however said for restructuring to comprehensively address the questions of Nigeria’s unity, the APC- led Federal Government must include Resource Control, Devolution of Power to the federating units and True Federalism in the template of restructuring. He said restructuring along the lines of resource control and true federalism will build confidence and cohesion across the country and place Nigeria on the path of justice and fairness. While stressing that agitations for restructuring were not new in the country, the Governor said restructuring did not see the light of the day in the past because the leaderships were not sincere about it. He said for restructuring to have the buy-in of all sections of the country, the APC- led Federal Government must show utmost sincerity of purpose and involve all interest groups in the process. The statement said Governor Dickson has always believed in the restructuring of the country, adding that it was against this background that Governor Dickson teamed up with progressives across the country to found the Alliance for Democracy in 1998 to address the basis of Nigeria’s unity as well as the teething agitations for resource control, devolution of power/ true federalism. The statement noted that Governor Dickson had to defect from the AD when the party turned 360 degree and backed out on resource control, by supporting the Onshore/Offshore Dichotomy suit! The suit which was instituted by the Federal Government against oil-producing communities was inimical to the corporate interest of the Ijaw nation because it amongst other things, sought to take off the rights of host communities to have control over resources in their domain. BLOODSHEDDING: Is the Devil from the North?